I created this product out of utter frustration. I have spent two years trying to get to know the series and the teacher's manual. 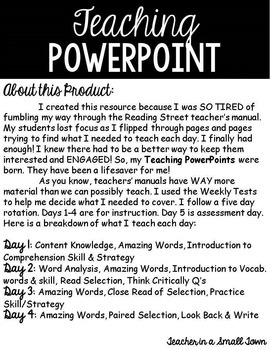 There is SO MUCH to teach and I could not get into a routine that worked for me and my students. - Themed writing paper for students to record their responses for the Look Back and Write activity at the end of each story. I have used the non-interactive presentation as the preview. I had to omit a few slides to get the file size down. However, you will get a really good idea of the routine for each day of instruction. You can even use the preview with your students to see if this product is an investment you really want to make. In my personal experience, my students have responded best to the interactive presentations. They are engaged while I'm teaching. Who doesn't want that, right?!? 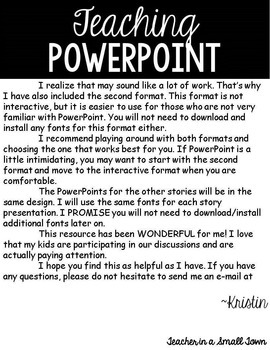 Please be aware that you need PowerPoint to open and use this product. 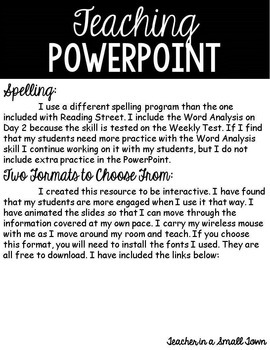 Also, if you choose to use the Interactive presentation, you will need to download and install a few fonts. I have included links to the fonts in the Product Info in the download. I will use the same fonts in each story presentation in the future. Please follow my store to be notified of future products. 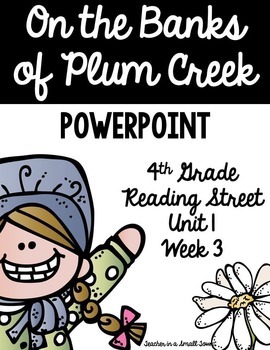 I plan to add more Reading Street resources in the VERY NEAR FUTURE!